Home Tags Posts tagged with "Ho’oponopono"
I am a Hawaiian-Irish-American. Like my ancestry, my approach to healing is multicultural. 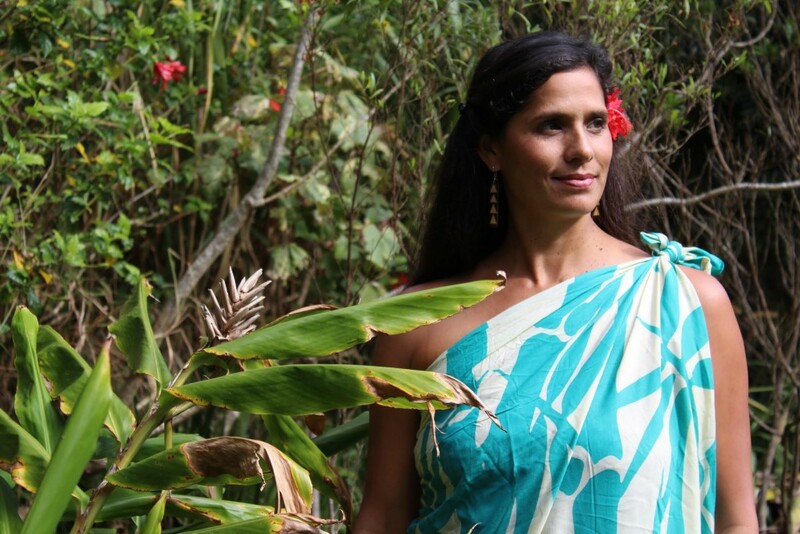 I am Western schooled in physical therapy, but I am also trained as a native Hawaiian medicine practitioner. Practising traditional physical therapy for almost a decade left me feeling disconnected, treating “knees” and “lower backs” in a compartmentalised way. I wanted to work on a deeper level and treat clients more holistically. I found all this and more returning to my roots in Lomi Lomi massage and the spiritual teachings of Ho’oponopono learned from Hawaiian masters. Witnessing the loving and connected way Aunty Margaret Machado and Aunty Mahilani Poe Poe approached healing changed everything for me. Ho’oponopono is a practice of confl ict resolution within oneself and with others, restoring alignment and making right. Pono means to be correct, in harmony, in integrity, to be balanced, encompassing all things desirable for spiritual, mental, emotional and physical wellbeing. Ho’o in front of pono suggests action or requiring action. When we are faced with challenges in our lives, including past traumas, disharmony between loved ones and such upheavals, we allow the emotions of the moment to dictate our thoughts and actions. In the Hawaiian philosophy of care, energies of anger, fear, blame, and judgement create separation between ourselves, others and the divine. Spirit prompts a shift firstly in our spiritual awareness. Even if ignored, the message nonetheless enters the mind. Without action, discord will manifest physically in order to grab our attention. This results in trauma, injury and pain. Combining Lomi Lomi and Ho’oponopono allows me to work with the whole person, not on them. I had a client who had been in chronic pain for twenty years. He had injured his back serving in the military, a family tradition. As a young man, he had aspirations to be a healer. He chose family obligation rather than following his heart. As his treatment began, he shared the extensive list of failed therapies endured over the years. None had offered long term relief. His main concern was the fear of being hurt. The session began with Ho’oponopono to address his fear. Was he willing to change the conversation and open to the possibility of healing? Our Hawaiian teaching of the wisdom of the bones reveals the correlation between spiritual/emotional disharmonies and physical illness. The lower back represents the family connection and support. In his case, this support was not received. In fact, for his pain, he had blamed his father for all these years. These emotions had not only created a divide in their relationship but it had perpetuated the pain in his backbone. Using the tools of Ho’oponopono, taking responsibility for shifting the story backward and forwards, he was able to recognise the destructive emotions he was carrying, release the blame and invite healing into his spirit. After the treatment, I asked him how his back was feeling. He was surprised to find his back pain free. Lomi Lomi is a therapeutic art form addressing injury and restoring physical alignment. But the Ho’oponopono is the magic that fosters transformational outcomes. By giving people empowering tools to release the pain in the emotional and spiritual body, true transformation can take place. Body. Mind. Spirit.